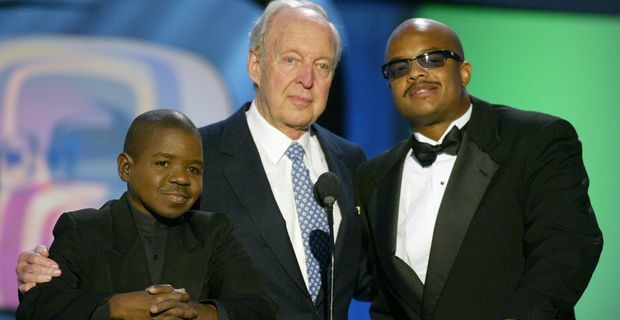 Janet Jackson and Todd Bridges were quick to pay tribute to Conrad Bain, the character actor best-known for his role in the sitcom Diff’rent Strokes. Bain died in California a few weeks short of his 90th birthday. Bain played the indulgent and permanently exasperated adoptive father Phillip Drummond in the groundbreaking comedy series, which ran from 1978 to 1985. Jackson remembered Bain from her brief time in the show. She had a role for one season between 1981 and 1982 before her music career took off. "I'm saddened to learn of Conrad Bain's passing," she said via Twitter. He was a joyful, pleasant man to work with. My heart goes out to his family and friends." Bridges, who played Bain's adopted son Willis, the habitual recipient of Gary Coleman’s catchphrase “Whatchoo talkin’ about? ", regarded Bain as a father figure beyond the limits of the sitcom set. "This is probably one of the most heart-wrenching days I've had in a long time," he told the Hollywood Reporter. "That Conrad's not going to be around anymore to talk to. Whenever I needed advice, I'd call Conrad. He was a really good man. He really was like Mr. Drummond. Just an all-around nice guy. He treated me better than my own father treated me." The series made stars of the three child actors but they found it hard to deal with their success. Bridges, who has been through crack cocaine addiction and serious criminal charges, is now the only survivor of the show’s central cast. Coleman died after falling down a flight of stairs in 2010 and Dana Plato committed suicide in 1999 after a history of alcohol and drug abuse. Given that he was 89 though, it might be something of a stretch to suggest that Bain succumbed to the "curse of Diff’rent Strokes".